Covers all first aid, including: CPR techniques, choking, shock, burns, heart attacks, broken bones, poisoning, etc. 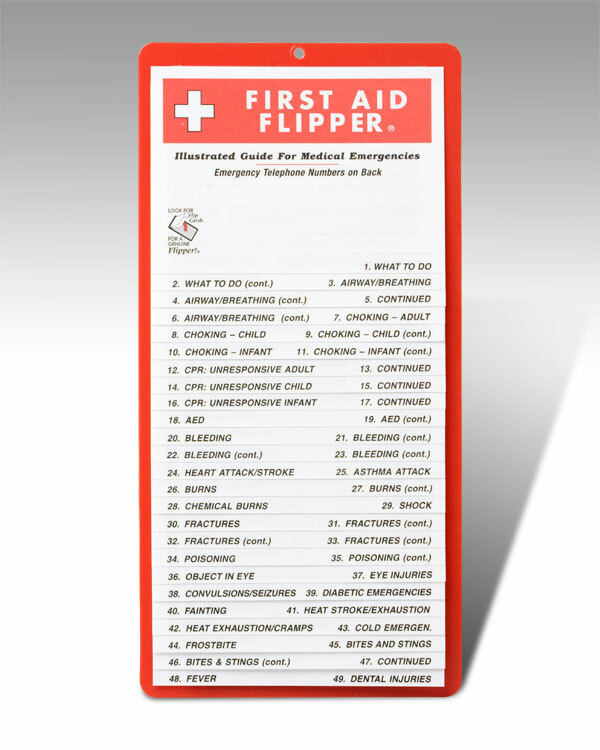 There are 25 coated cards [5" X 3.5"] attached to a sturdy plastic backing. Write emergency telephone numbers on back. Hang from hook or use magnets on back to place on refrigerator or file cabinet. Overall size: 5.5" X 11". ITEMS ON SPECIAL!!! GREAT GIFT IDEAS !! !